The wedding day is one of most special milestones of one’s life and naturally every bride wants to make it a perfect occasion. This goes without saying that it needs a lot of thoughts, strategies, planning and finance to make it a success. Naturally, you can imagine there is so much for a bride to do in the last month before the big day! In fact, till the very last minute the wedding planning remains quite arduous. From the pre-bridal sessions to ensuring the décor and packing for the honeymoon, there are a lot of things that you can miss out in the last month. To make sure that you that you are able to keep track of what is to be done in the last month, here is a checklist that you can keep handy and tick off for the smooth sailing of the event. Just read on. This can be one of the first things that you should do. Though your marriage license is only good for a short time period, but you don’t have to get it done specifically a week prior to the D day as is the popular belief in this case. You should call ahead to know which documents you may need and how much the cost will be. Depending on the state in which you are tying the knot, these can vary. So, start early. You don’t want to give a thought about the fitting of your dress in the last few days before the final day. That is why make you plan the final fitting in advance. The gown should be wrinkle-free, altered to perfection and absolutely ready for you to put on along with the perfect lingerie and accessories when the D day arrives. Sadly, there are many who won’t RSVP till the last moment for a major event like a wedding. Once the deadline has passed, it is time to begin emailing or calling those people who haven’t responded and track them down with the final head count. Your planner and caterer need this for finishing up the orders. Not only that, this is also required to finish the seating arrangements. Take help from your maid of honour and parents if it is a big list. This is the time when you meet up with the vendors or at least you can set up a phone conference. This will help you review all the details and prepare for the big day in the right way. 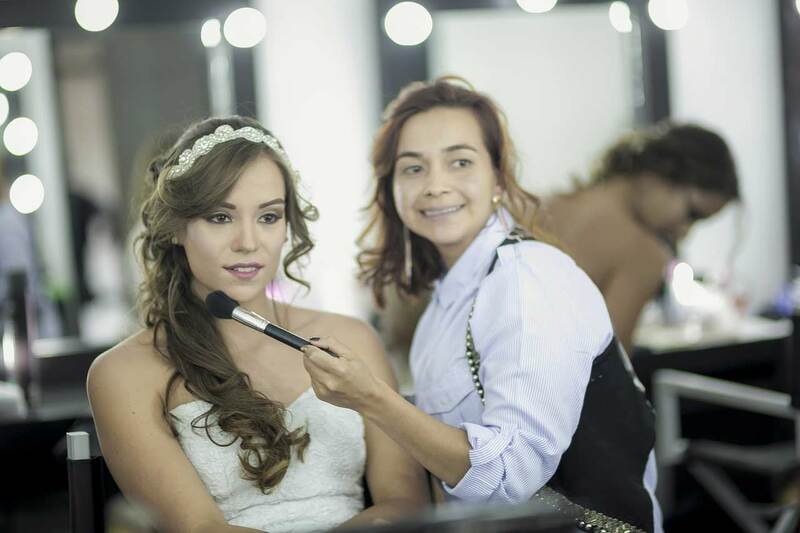 By the last month before the wedding you should have already chosen and booked your beauty spa and beauty experts. That is why, now is the time to finally decide how you will be able to wear the hair and make-up when you are walking down the aisle and also go for a trial for the same. You should set a schedule for the wedding day as well as the wedding weekend and share it with the vendors, planner, bridal party and family. You should include the activity, time and who are attending and who are responsible for what. You should clearly establish when the makeup and hair should begin, when the photographer arrives and everything else to ensure that the day goes in a smooth manner. The bride happens to be the VIP on her wedding day. She should be able to breathe free and enjoy the wedding functions to the core. Hence you should also bring together your A team of relatives and friends in place and delegate the tasks to them like checking the décor, ensuring all the guests are taken care of and checking with the event coordinator. The above are some of the things that the brides should do a month before the wedding. These tips are suggested by the experts at Wonderland Agency, a reputed event management agency who have been in the industry since many years now and know exactly how things should be organised in order to host a smooth and successful event. Sawoni Chowdhury is an aficionado of writing. She is an expert writer and blogger and shares her views and opinions on a range of topics such as Lifestyle, Business, Entertainment and lot more. She works with Wonderland Agency, which is among the best event agency in the UK. Next articleCan the colour of your teeth really affect your destiny?